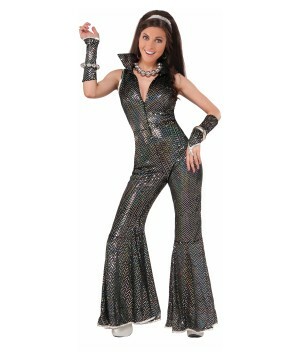 Select your favorite Women's Disco Costume and become the most gorgeous 70's Diva! Get ready to hit the dance floor with your best moves in a sparkling Disco Dress! Disco is a music genre that became very popular in the late 1970's. This type of music was so influential that it became a lifestyle for many. It is often argued that Disco changed music forever since many modern artists are still being inspired by the best funk, soul and Disco of the 70's. The 1970's was such a powerful decade that it is still alive not only in music but also in fashion and you can see it in the spectacular assortment of Women's Disco Costumes! 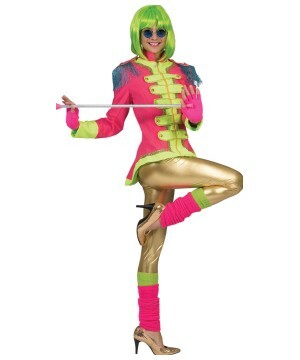 Disco style outfits are colorful and bright, and they oftentimes include bell sleeves and bell bottoms. Disco clothing has its very own special style and now you can be part of this by wearing any of our Disco Costumes for women that are available in all regular sizes and in different styles. 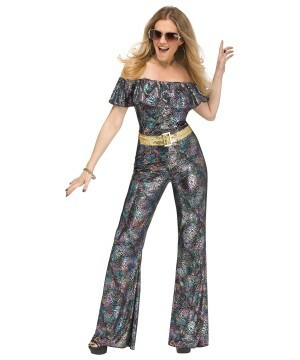 Join the 70's fun in the Women's Boogie Queen Costume; this Disco Costume is a zippered front stretch jumpsuit with a matching pair of glovettes. 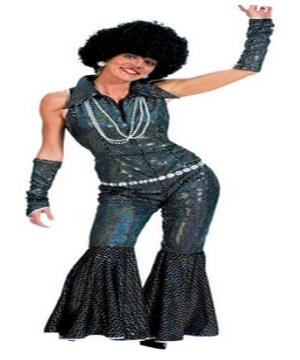 The Silver Disco Dress Women’s Costume will also suit you well in the same manner as the 70's Disco Honey Women's Costume. If you want to leave aside the silver shinny color and rather go with a more vibrant style, check out the Disco Mama Women Costume as it features a multicolored tie dye jumpsuit with tiered bell sleeves and bottoms, and a sparkling pink belt that completes this 70's Women's Outfit. Becoming a Disco diva had never been so much fun! 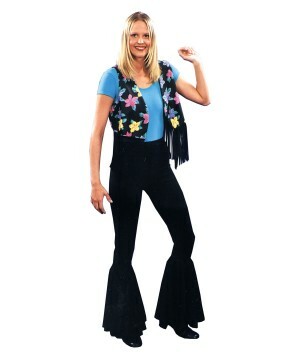 Select your very own Women's 70's Costume and be ready to hit the dance floor with your best moves and your groovy look!